Many people stumble across virtual private server (VPS) hosting and think, “What am I going to do with that?” The budget-oriented might be thinking more along the lines of, “How am I going to recoup my costs from that?” Even others might be angling for profit. Now, profiting from your VPS isn’t exactly my specialty. You might want to take a class at your nearest business school for that, or one of the many startup ideas threads that pop up on Hacker News now and then. What I can do is tell you about easily breaking even on your VPS investment. Maybe you’ll even get more out of it than you put in. You’ll need an SSD Nodes VPS to start. “Why SSD Nodes?” you might ask. Well, our 16GB RAM plan—a fully-fledged KVM platform on top of incredible hardware, mind you—comes in at $[price]/mo. With other providers, that might cost you $60 or $80/mo. That positive ROI doesn’t seem so farfetched now, does it? Oh, do we love self-hosting around here. The ability to host powerful web apps, for free, is incredibly empowering and freeing. 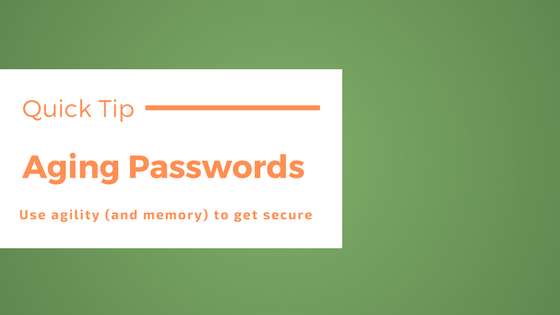 Not only do you take control of your data, but you can save yourself some serious cash, too. Need a primer on what self-hosting is? Check out our post: What the Heck is Self-Hosting? A Guide to ‘Owning’ Your Webapps. The goal is to find SaaS web apps that many developers pay for and replace them with free, self-hosted alternatives. Once we start tallying up the return on replacing each paid app with a powerful free one, we can see just how quickly self-hosting can push us from being a few bucks in the red to entirely in the black. GitHub has to be the most commonly used SaaS application for developers. Most developers also want private repositories, mainly if they’re working on closed source software, whether a side project, contract work, or for the company they’re building. The free GitHub account doesn’t allow private repositories, so many are paying at least $7/mo for that privilege, if not more. Instead, you could self-host one of the popular, free, self-hosted alternatives, such as Gitea or GitLab. You can easily install Gitea via a single binary or a simple docker-compose.yml file, and we have our own tutorial for installing GitLab right here on the blog. Heck, that almost covers it already. What do you know? Well, let’s keep going. 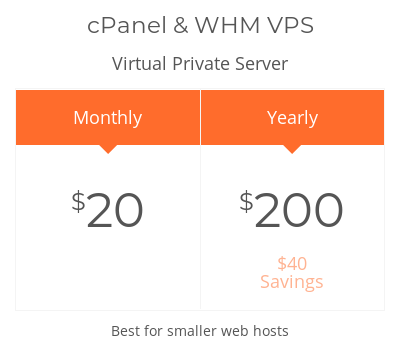 Not everyone is paying for a cPanel license, but for those who are, you know that it leaves a pretty big hole in your wallet every month. Well, you’re in luck—there are plenty of cPanel alternatives available, and they’re free. Webmin, easily the most popular of these cPanel alternatives, is an excellent mix of power and ease-of-use. We’ve heard from plenty of SSD Nodes users who are using it on their servers and are quite happy with the experience. Installation is incredibly easy, as the developers have created packages for Ubuntu, Debian, and CentOS. Once installed, you’ll get much the same point-and-click administrative experience you get from cPanel, but entirely for free. You don’t have to go with Webmin. There are plenty of others, and we’ve covered them in our fan-favorite post: 6 Free cPanel Alternatives to Empower Your VPS. Ever tried searching for a message in Slack, only to find that it’s behind the 10,000 message firewall? You wouldn’t be alone, and that’s why millions have started paying $6.67/mo/user so that they can keep their chat history intact. Whether it’s essential workflows or for the sake of accountability to HR, there’s real value in these messages. With value comes cost. Enter Rocket.Chat, a free, open source, self-hosted alternative. You can check out our tutorial on installing Rocket.Chat for details. Most people use some kind of cloud storage system these days, and Dropbox happens to be one of, if not the most popular option out there. Google Drive is another option, but neither of them comes particularly cheap. Instead, you could install Nextcloud, which bills itself as “an open source, self-hosted file share and communication platform.” You can synchronize your files, calendars, contacts, and more, and best of all, you keep full control of your data. And, guess what, we have a tutorial tailor-made for those who want to self-host and self-synchronize their files: Tutorial: Installing Dropbox alternative Nextcloud with Docker. There’s currently no way to get 1TB of cloud storage with SSD Nodes, as you would with the paid versions of Dropbox and Google Drive. However, as long as you only need a few dozen GB of storage space—perhaps for some pertinent backups—you’ll have more than enough with a 16GB RAM server with 80GB SSD storage for $[price]/mo. Back in March 2017, we saw a significant surge of interest in virtual private networks (VPNs) due to legal changes within the United States that allow internet service providers (ISPs) to collect and sell data about their customers. A VPN would, in theory, encrypt your traffic before ISPs could get a hold of it, preventing them from collecting and profiting from it. Many people jumped straight for one of the dozens of paid VPN providers out there, many of which have questionable logging practices. One of the more popular options was ExpressVPN, which clocks in at $12.99/mo. The good news is that if you have a VPS, you can have a VPN in a matter of minutes. The even better news is that we have a handful of tutorials to help you out. If you want the easiest VPN, try Alphabet’s Outline, which you can install in a matter of minutes: Tutorial: Installing Alphabet’s Outline VPN on your VPS. Streisand is another option, with what used to be the most straightforward installation process: Tutorial: Easily install a VPN with Streisand on Ubuntu 16.04. Finally, if you don’t trust anyone putting abstraction between you and your VPN, give OpenVPN a shot: Tutorial: Installing OpenVPN on Ubuntu 16.04. 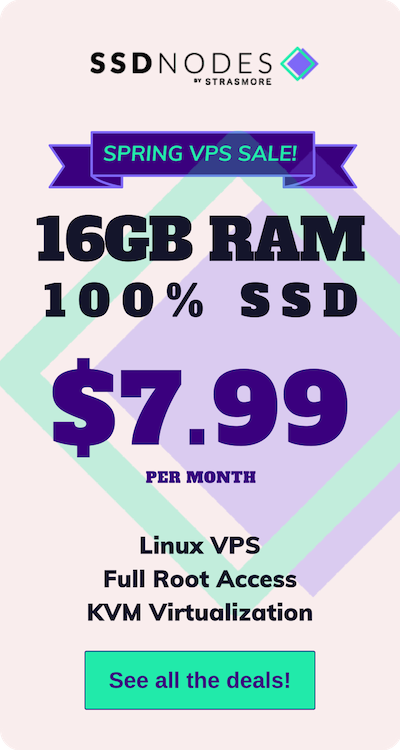 $63.28 is a sizeable return considering how much you’re putting in for an SSD Nodes VPS every month. Makes for a pretty compelling case to hold onto that server, make the most of it, and save yourself some cash in the long haul. Even if you don’t pay for all these services—heck, even if you only pay for one of them—you’ll quickly return most, if not all, of your investment. Of course, there are plenty of other ways to move away from paid SaaS apps via your VPS, but a lot depends on your workflow, needs, and preferences—dive right into our ultimate guide to self-hosting for more ideas.